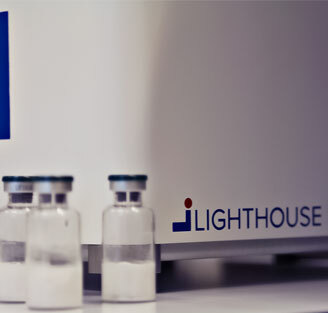 LIGHTHOUSE introduced laser-based headspace analysis into the pharmaceutical industry in 2000 with the help of funding from the Food and Drug Administration. 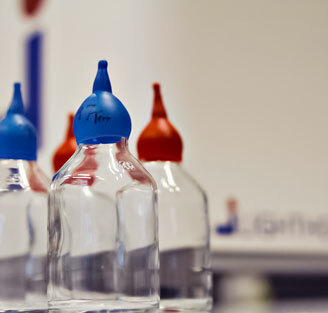 Frequency Modulation Spectroscopy (FMS) is utilized by LIGHTHOUSE laboratory instruments to determine the amount of gases within the headspace of pharmaceutical containers. 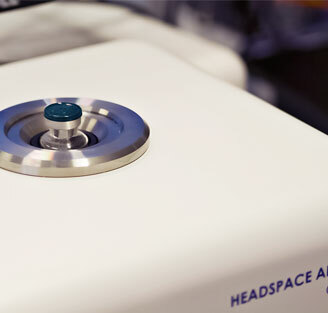 Using laser absorption, light from a near-infrared laser is tuned to match an internal absorption frequency of various molecules and passed through a glass sample container in the headspace above the product. The amount of laser light absorbed is proportional to the concentration of the specified gas in the headspace. The rapid and non-destructive nature of the analysis allows for multiple measurements on the same sample over time, which yields more accurate results. Additionally, this prevents waste, which saves costs on both waste disposal items and valuable product. The benchtop FMS Analyzers are straightforward to use, meaning operators do not require special expertise to use these robust, portable devices, and accuracy does not depend on operator skill. 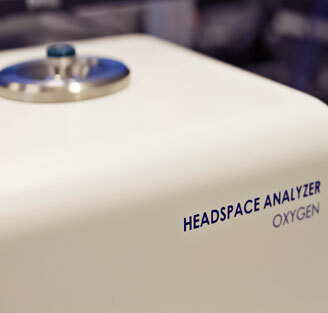 The FMS-Oxygen Headspace Analyzer enables the rapid non-destructive analysis of headspace oxygen in sealed containers. Applications include determination of oxygen levels for oxygen-sensitive product, container closure integrity testing, and the monitoring of gas purging processes. The FMS-Pressure/Moisture Headspace Analyzer enables the rapid non-destructive analysis of headspace moisture and pressure in sealed containers. Applications include moisture determination of dry product and vacuum determination for containers sealed at an underpressure. The FMS-Water Activity Analyzer enables robust and accurate determination of water activity. Applications include water activity determination of dry sterile product, oral solid dosage forms, and API material. The FMS-Carbon Dioxide Analyzer enables the rapid non-destructive analysis of headspace carbon dioxide in sealed containers. Applications include container closure integrity testing, inspection of media fill containers, and determination of microbial growth in sealed containers.